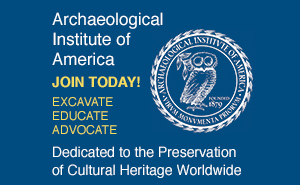 Investigation of a stone layer deep within Monks Mound has yielded more questions about the history and internal structure of the 100-foot-tall earthen pyramid at Cahokia, Illinois. 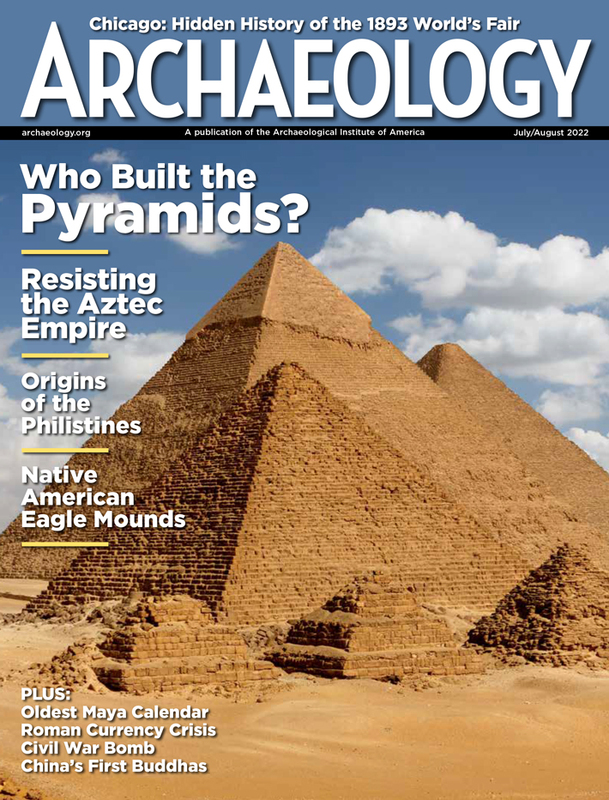 Archaeologists had hoped to define the extent of a sandstone or limestone cobble layer, possibly a ritual platform or tomb, found last March (see "Cahokia Surprise," May/June 1998). Hand coring with an augur, conducted by archaeologists from Southern Illinois University Edwardsville, was undertaken in late July and early August. At 25 feet--15 feet above the stone cobbles--the augur hit a layer of coarse material, at which point groundwater prevented further coring. There are several layers of coarse material, a sandy silt loam, alternating with ones of clay, above a 20-foot-high clay core inside the mound. These layers, believed to have functioned as groundwater drains, were built into the mound during its construction beginning ca. A.D. 950. The drains were apparently intended to help maintain the mound's stability, but around A.D. 1200 the western side of the upper two terraces (III and IV) collapsed, taking with them part of a building on top of the mound. This structure, built ca. 1050-1150, was 39 feet north to south; traces of it extend 98 feet from east to west, where the end is lost. No domestic refuse was found when it was excavated, so it may have been a public building or temple rather than an elite residence. According to William Woods, the project director, Monks Mound originally had only one terrace. A series of additions to its south side several generations after its initial construction produced the present lower or first terrace (I). At about the same time, caps on the summit defined the third and fourth terraces (III and IV). These originally extended farther west, with the mound's west side being a mirror image of its east. The second terrace (II) was, Woods believes, created by the massive slump, after which the inhabitants of Cahokia patched the western half of the mound, using material from a borrow pit to the west to fill in fissures and pits and level it. Woods suspects that this took place over a single year. Later, rains washed unconsolidated soil off the mound, producing an alluvial fan and filling in the borrow pit. After the mound was patched, houses were built near the mound's western side, and the inhabitants threw their garbage at its base, suggesting the mound had lost its ceremonial significance. The structure atop it was not rebuilt. Woods' team will conduct coring to determine the volume of sediment in the alluvial fan and the size of the borrow pit. This will permit calculation of the volume of earth put into the mound during the patching after the A.D. 1200 slump. It may also resolve whether enough material was originally incorporated into the mound to fill out terraces III and IV across its full width. Geologist John Sexton of Southern Illinois University Carbondale carried out magnetometry and resistivity surveys on the second terrace this past June and July. The magnetometer revealed two anomalies, perhaps walls, in the second terrace, between ten and 20 feet, well above the stone layer discovered in March. One of the anomalies is 6 1/2 feet south of the stone layer and the other 65 to 82 feet farther south. Coring will be done on the northern anomaly detected by the magnetometer in an attempt to determine just what it is. Possibilities include roughly vertical features, such as walls, attached to the stone layer 20 to 30 feet below them, or part of a separate structure.